With another cool and rainy day today - Yay, I didn't get a lot of work done, just a few odd jobs and weeding between showers. I thought I would tell you about a couple of experiments I am doing in some spare patches. 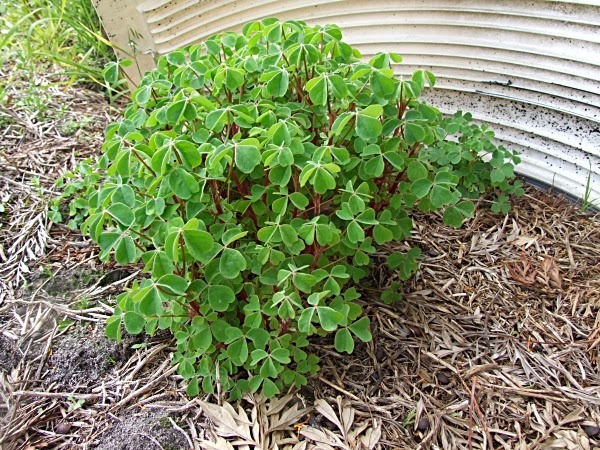 After reading about some interesting ways of getting oca to tuberise early I am going to use this plant that came up from a missed tuber last year to see if it might be viable to produce two harvests in one year in my climate. This plant started shooting at around the 1st of October so it is two months old and a good size. In a week, at the end of the month, I am going to cover it so it gets only 8 hours of sunlight per day to get it into tuberising mode, then after 2 weeks or so I will cover it and place it in complete darkness. This should get it to put all of its energy into tubers. If it works and I can get a harvest in only 3 1/2 months I will try it on a larger scale next year. Should be interesting. 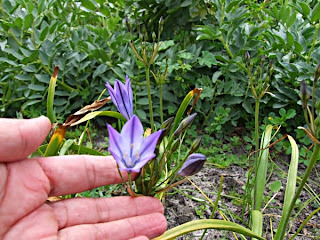 One of the posts contained information on Brodiaea laxa which is a Native North American bulb that produces tasty and edible bulbs according to that blog. 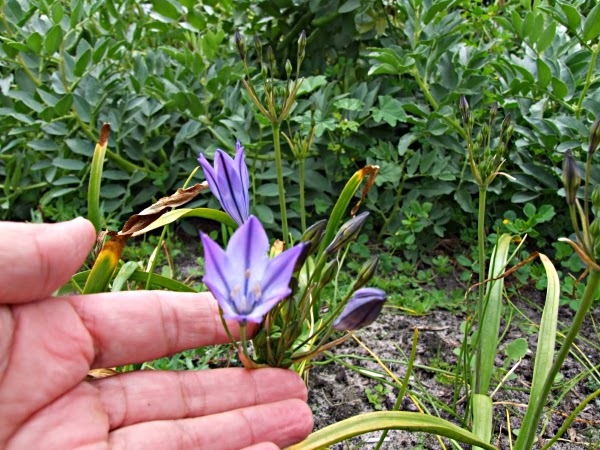 In Australia the only variety I can find easily is 'Queen Fabiola' so I put a packet of bulbs in last Autumn and they have just started to flower. 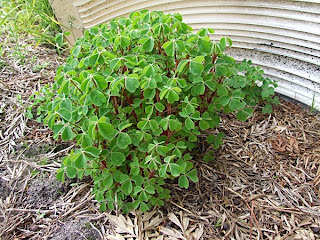 It is usually planted as a garden ornamental. 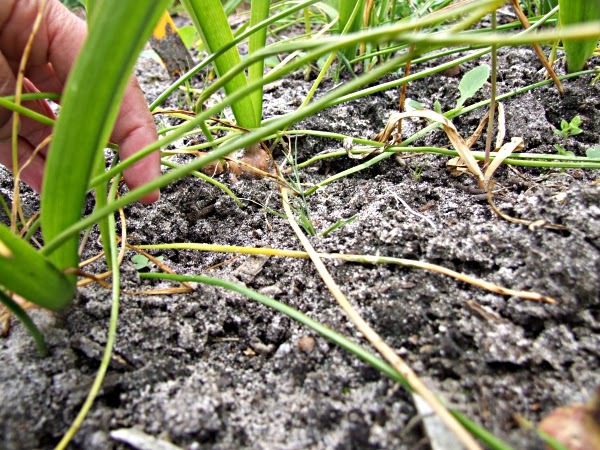 Although the bulbs are fairly small they produce heaps of offset bulblets so it should be easy to build up stock, and I have found that picking off the flower stalks increases the size of the bulbs. If they do turn out to be tasty and worth growing I will put in a couple of beds next year. They seem to be ridiculously easy to grow which is a big plus.